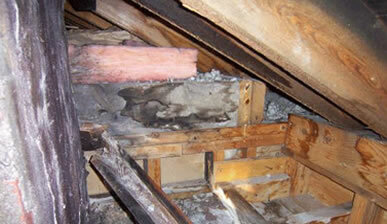 Did you know it’s estimated that 9 out of 10 homes don’t have proper attic ventilation? More importantly, did you know that improper attic ventilation can have an adverse effect on your energy bill? Each fall and winter homeowners dread having to turn on the heat to avoid shivering, as they know there will be a price for their comfort the next time their heating bill arrives. Luckily, you can get ahead of the curve and ensure you’re not literally throwing money out the attic. Jun’s Roof Cleaning offers attic and soffit vent installation and repairs in New Jersey, ensuring that your home will not suffer from a draft, and that air will circulate properly. Master Flow Power Roof VentilatorMaster Flow® Power Roof Ventilators – Built In Humidistats Power ventilators are your best overall investment in attic ventilation. While they may cost more to install than other types of ventilation, they remove the greatest volume of hot and/or humid air from your attic, saving you more in energy costs. Helping to reduce attic cooling costs, this next generation vent combines increased airflow with excellent aesthetics. Gable mount attic ventilators are a great choice for exhaust ventilation because they are the easiest power vent to install and won’t detract from the appearance of your roof. Deluxe turbines are designed with upper and lower stainless steel ball bearing systems for years of trouble-free operation! Deluxe turbines are available in 12″ or 14″ sizes, galvanized or aluminum construction, and internally or externally braced. Excessive condensation is caused when a area such as an attic or basement cannot properly dissipate water and water vapors. Unbalanced humidity in your basement or attic (along with plumbing leaks) may cause mold in your basement or attic to grow and thrive. Exposure to mold and mold spore exposure can be a health risk that could cause headaches, allergies, respirator problems, and can aggravate existing asthma.